5.2: Baptism and Eucharist (2) liturgical renewal among Catholics and Protestants in the 20th and 21st centuries. In this second session this morning, we are going to briefly trace the developments in worship forms from the Reformations to the present, and then look at the Eucharist in the light of the Liturgical Movement and as an issue in inter-Church relations. ● to become familiar with some of the key theologians involved. 2, Troparion of the Veneration of the Cross from Chevetogne. Both sung by Nóirín Ní Riain and the Monks of Glenstal Abbey (Vox de Nube). What is the Liturgical Movement? Many of us are familiar with the diversity in liturgy we can experience in different churches in the Anglican Communion. Yet there is a common feeling, quite often, that there is something distinctively Anglican in many liturgies – despite those diversities. And it is also becoming increasingly commonplace that liturgy, no matter where or by whom it is celebrated, has a feeling of familiarity no matter where we go – similar actions, similar architecture, similar robing, similar readings, similar rites, similar liturgical texts … prayers for the government, and always the Lord’s Prayer. The Liturgical Movement is an informal movement without structures, but with overlapping committees, working groups, interest groups and societies. It is the single most influential part of the modern ecumenical movement. It has strongly influenced Anglicanism, but has also been strongly influenced by Anglicans. The Liturgical Movement as a movement of scholarship and the reform of worship has been working over the last century and a half in the Roman Catholic tradition and in many Anglican, Protestant and Reformed Churches, including the Church of England and other member Churches of the Anglican Communion. 1, It was an attempt to recover and rediscover the liturgical texts and thinking of Patristic times and the worship of the Middle Ages. 2, It became a scholarly exercise in examining the history of worship. 3, It broadened into an examination of the nature of worship as a human activity. 4, It became an attempt to renew worship so it could be more expressive for worshippers and an instrument of teaching and mission. 5, It has been a movement of reconciliation between the Churches on both sides of the Reformations. At the Reformations in the 16th century, all Churches revised and reformed the liturgy and public worship. The divisions were exacerbated because, with the development of written European languages, a Latin liturgy became something one would primarily see and secondarily hear, while in a vernacular service, one in the language of the worshipper, the worshippers were supposed to understand and were expected to take part. But language was only one of the dividing issues. The revision of the Roman liturgy provided a single use for the whole Church. In opposition to the Reformers, the sacramental principle was restated alongside a doctrine expressing the sacrificial nature of the Eucharist. But in subsequent centuries, the Liturgical Movement would bring changes that affected all the main Church traditions. In both the Catholic and Protestant traditions – but for different reasons – frequent communion was unusual and all traditions sought to remedy this. 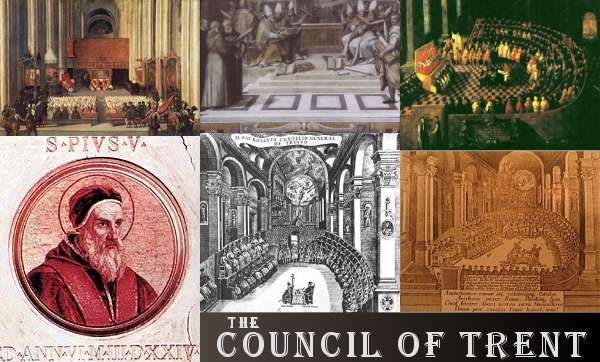 With the Counter-Reformation, the Council of Trent (1545-1563) adopted the Tridentine Mass as the standard liturgy. From then on, the Latin Mass remained substantially unchanged for almost 400 years. Meanwhile, the liturgies of the churches of the Reformation traditions – including Anglicans, Lutherans and Calvinists – changed too. The Reformers wanted to return to the Biblical foundations of liturgy and to the authority of the early Church Fathers. However, the Reformation churches often became ‘Churches of the Word’: the language of the people was used, but in addition the focus generally shifted away from the sacraments and onto the word of Scripture and the word of preaching. In the Church of England, the changes introduced in The Book of Common Prayer, as we have seen, were relatively conservative, and after the 16th century were not substantial. The notable exceptions were the Scottish and Nonjuring liturgies, through the influence and insights of Patristic studies. For the vast majority of Anglicans, though, the practice of Holy Communion became less frequent and was replaced in many churches by the services of Morning Prayer and Evening Prayer. In many parts of the Lutheran tradition, not much more was retained in the liturgy apart from the so-called ‘Words of Institution’ (‘This is my Body ... this is my Blood’), and it became common practice to make the service of the day, the ante-communion, into a preaching service. The first stirrings of interest in liturgical scholarship (and in liturgical change) begin with the collection and study of ancient and mediaeval liturgies in the 18th century. The ancient liturgies of the Eastern Church, especially the Jerusalem Liturgy of Saint James and the Syrian Liturgy of the Apostolic Constitutions (Book VIII), were important in the work of notable 18th century Anglican liturgical scholars such as Hamon L’Estrange (1674-1767), Edward Stephens, Thomas Rattray, Bishop of Brechin and subsequently Primus of the Scottish Episcopal Church (1739-1744), and the Nonjuror Thomas Brett, author of the Dissertation on the Ancient Liturgies (1720). Rattray’s great work on the Liturgy of Saint James was published posthumously and served as the basis of a Communion Office that was used in the Scottish Episcopal Church from 1764 to 1911 and again when revised in 1912. This, in turn, shaped the liturgy of the American Episcopalians. In the early 19th century, there was a renewed in interest in patristic and mediaeval studies among Anglican scholars, including EB Pusey, JH Newman and other members of the Oxford Movement in the 1830s and 1840s. About the same time, the liturgical movement among Roman Catholic scholars can be traced to the recovery of Benedictine monasticism and Gregorian Chant at Solesmes in France. 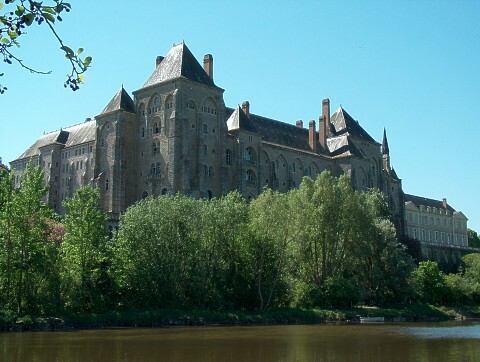 The Benedictine Abbey at Solesmes was re-founded in 1833 under Dom Prosper Guéranger (1805-1875). For a long time after, Benedictines were the pioneers in restoring Roman liturgy to its original form. At first, Guéranger and his contemporaries focussed on studying and recovering Gregorian Chant and the liturgical forms of the Middle Ages, seen as an ideal, and in revising the Christian Year. Other scholars investigated the origins and history of the liturgy, although the practical application of this learning was often lacking. The 19th century also saw the discovery of new liturgical texts. Jacques Paul Migne published editions of various early theological texts in two massive compilations: Patrologia Latina and Patrologia Graeca. In addition, the Didache, one of the earliest manuals of Christian morals and practice, was found in 1875 in a library in Constantinople, and the Apostolic Tradition, often mistakenly attributed to Hippolytus (3rd century), was published in 1900. The Apostolic Tradition, a church order containing the full text of a Eucharist, proved to be highly influential. Other discoveries at this time included the 4th century travel diary of Egregia and a 5th century Armenian Lectionary for Jerusalem. These sources were important in developing an ecumenical consensus on liturgy. Anglican scholarship also had a major impact on the recovery of patristic and mediaeval sources for liturgy, with contributors such as FE Brightman (Liturgies: Eastern and Western, 1896), WH Frere (The Use of Sarum, 1898-1901), Cuthbert Atchley (Ordo Romanus Primus, 1905), and J Wickham Legg (The Sarum Missal, 1916). 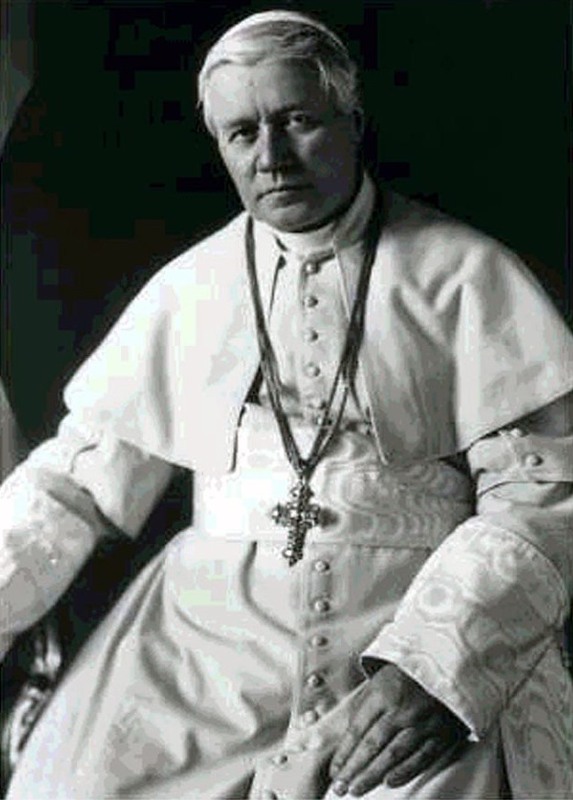 The first real encouragement to reform came from Pope Pius X, who took on board many of the insights from Solesmes in his liturgical reforms, which became the necessary spark for the liturgical movement. Shortly after his election in 1903, he issued a motu proprio on church music, inviting the laity to take part actively in the liturgy, which he saw as a source of the renewal of Christian spirituality, and calling for more frequent communion by the laity, particularly the young. Pastoral considerations played a major part in all of these developments, and lay behind the tone of the papacy of Pius X, who also appealed for the restoration of Gregorian Chant. A conference in 1909, the Congrès National des Oeuvres Catholiques at Malines in Belgium, is the beginning of the Liturgical Movement proper. Liturgy was to be the means of instructing the people in Christian faith and life; thus the Mass would be translated into the vernacular to promote active participation by the faithful. One of the leading figures in the conference was Dom Lambert Beauduin (d. 1960), a Belgian priest who had become a Benedictine monk at the Abbey of Mont César in Louvain three years earlier in 1906. In his book, La Pieté de l’Eglise, Beauduin points out that worship is the common action of the people of God and is not solely performed by the priest. He was the first Roman Catholic theologian to speak about the full, conscious and active participation of the worshipping assembly, which becomes the hallmark of the 20th century Liturgical Movement. He stressed the intimate relationship between liturgy and society – the liturgy presents the world the way God wishes it to look, and the ‘liturgical world’ is a profound critique of a dehumanising culture. A major project for Beauduin was a popular monthly missal with a translation of the Mass and popular articles for ordinary members of the laity. He was also committed to ecumenism, and in 1925 founded a joint Roman Catholic/Byzantine monastery at Amay-sur-Meuse, near Chevetogne in Belgium. At the same time in Germany, Abbot Ildefons Herwegen of the Benedictine Abbey of Maria Laach convened a liturgical conference in Holy Week 1914 for lay people. Maria Laach became the centre of great liturgical scholarly research and activity. Herwegen promoted research that resulted in a series of publications for clergy and lay people during and after World War I, and he founded the Institute of Monastic and Liturgical Studies in 1931. One of the foremost scholars at Maria Laach was Dom Odo Casel. Casel began by studying the Middle Ages, and looked at the origins of Christian liturgy in pagan cultic acts, understanding liturgy as a profound universal human act as well as a religious one. In his Ecclesia Orans (The Praying Church) (1918), Casel studied and interpreted the pagan mysteries of ancient Greece and Rome, discussing similarities and differences between them and the Christian mysteries. 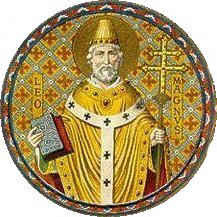 His work, arguing that the mysteries of Christ’s life are made present in the liturgy as it is celebrated, had a profound influence on later theologians and especially on Vatican II’s Constitution on Sacred Liturgy (Sacrosantum Concilium). Meanwhile, Maurice de la Taille argued in an influential book, Mysterium Fidei (1921), that Christ’s sacrifice, beginning from his self-offering at the Last Supper, completed in the Passion and continued in the Mass, were all one act. There is only one immolation – that of Christ at Calvary, to which the Last Supper looks forward and to which the Mass looks back. Although Taille was not a liturgist, his work created a huge controversy about the form and character of the Mass. In a major ecumenical advance, his arguments removed the Reformation objection that each Mass was a separate and new “immolation” of Christ, a repeated and thus efficacious act. 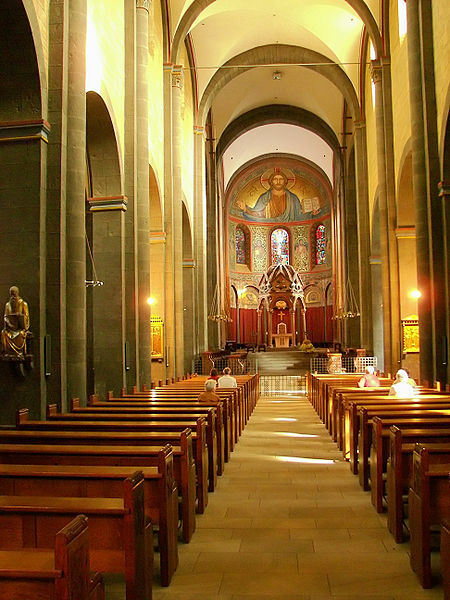 Through the influence of Herwegen and Casel, the Mass in Maria Laach was revised, and from 1921 on it included the praying in common of Gloria, Credo, Sanctus and Agnus Dei. Casel’s influence spread. In Austria, Pius Parsch (d. 1954), an Augustinian monk at Klosterneuburg, applied Casel’s principles when he took over the little church of Saint Gertrude in 1919. There with laymen, Parsch worked out the relevance of the Bible to liturgy. He argued that the Eucharist is a sacrifice offered by the entire parish community and is a meal eaten in common by the entire parish community. Similar experiments later took place in Leipzig during World War II. In France, practical experiments in the liturgy began through contact with the German and Austrian movements. But these mostly came after World War II. In 1943, the Centre National de Pastorale Liturgique was founded and the magazine La Maison-Dieu was first published. 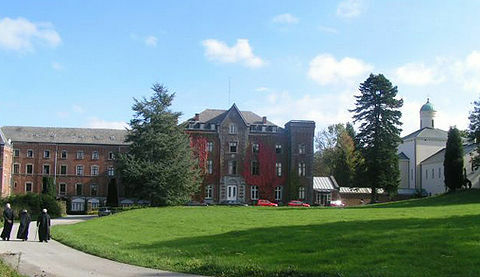 The centre was closely associated with the Institut Supérieur de Liturgie, an important centre for liturgical research. The idea of liturgy as an inclusive activity was an exciting subversion of individualism. But it also raised anxieties in Rome. In 1947, Pope Pius XII issued his encyclical Mediator Dei et hominum warning of false innovations, radical changes and “Protestantising” influences in the liturgical movement. At the same time, he encouraged the “authentic” liturgical movement that promoted active participation of the congregation in chant and gestures. 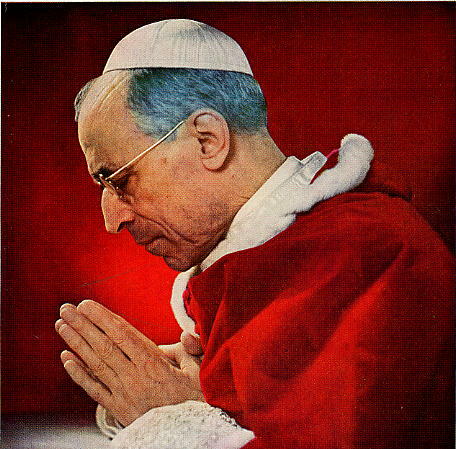 Pius XII also relaxed the rules of fasting before receiving Holy Communion, approved a new Latin Psalter based on the Hebrew Psalms (1945), allowed the use of the vernacular in certain rituals (though not in the Mass or at the Divine Office), and restored the rites of the Easter Vigil (1953) and Holy Week (1956). The Latin Tridentine Mass remained the standard Eucharistic liturgy in the Roman Catholic Church in the West until the Second Vatican Council. The exceptions to that were found in the changes made to the Holy Week ceremonies in 1953-1956 by Pope Pius XII, who allowed the Easter Vigil to take place in the evening. 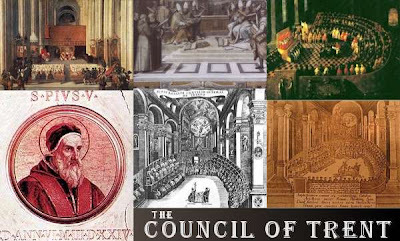 Vatican II adopted the Constitution on Sacred Liturgy in 1963. For the first time, the vernacular liturgy was permitted. In addition, the emphasis in the liturgy was now on anamnesis, as Taille had advocated. The influence of Hippolytus was evident in the form of the Eucharistic Prayers. Accompanying this was the encouragement for liturgies to express local culture, subject to approval from the Vatican. ● The introduction of the vernacular (#36). ● The call for the treasures of the Bible be opened up to include a richer portion of the Scriptures (#24, #51). ● An insistence on the centrality of Sunday as the Lord’s Day (#106). ● A renewed emphasis on the importance of preaching. The constitution also supported the controversial theological work of Odo Casel, reflecting Casel’s oft-cited quotation from an Ascension Day sermon by Pope Leo the Great, that ‘what was visible in the Redeemer has passed over into the sacraments.’ Appreciation of this theology enabled ecumenical progress on difficult issues like Eucharistic memorial and sacrifice. Meanwhile, what about the churches of the Reformation traditions? Modern Anglican interest in liturgy begins with the work of the Oxford Movement, which drew attention the church's history and continuity with the Catholic Church. Pusey, Newman and other members of the Oxford Movement were to the fore in the revival of patristic studies. John Mason Neale, Benjamin Webb, and their associates in the Cambridge Movement were interested in a recovery of many aspects of mediaeval liturgy. The short-lived Camden Society (1839–1863), originally formed to study ecclesiastical art and architecture, generated an interest in liturgy and the use of liturgical space that led to the ceremonial revival of the later 19th century. Later in the 19th century, Brightman, Frere, Atchley, Legge and others were publishing important works on patristic and mediaeval studies in liturgy. This revival brought Anglican scholars into conversation with their Roman Catholic colleagues, freer to take part in public life in England since the Catholic Emancipation Act (1829). At the same time, social and political changes were influencing those who were interested in liturgical recovery and development. There was a growing sense of disenchantment with the industrialised society that had developed in northern Europe in the later 19th century. Nowhere was this context clearer than among the Anglo-Catholics in the Church of England, especially Arthur Henry Stanton of Saint Alban’s, Holborn, and his Irish-born friend, Robert Dolling of Saint Saviour’s, Poplar. These ‘slum priests’ understood that the corporate dimension of worship is intimately linked with a critique of a dehumanising society. And so, it is no surprise that much of the impetus for the revival of the liturgy came from northern Europe – among Anglicans in England, among Roman Catholics in Belgium and northern Germany, and among Lutherans in Sweden. The Henry Bradshaw Society, founded in 1890 to publish liturgical texts, was followed in 1897 by the Alciun Club, which had a significant impact both on later Anglican revisions of The Book of Common Prayer, for example through Cuthbert Atchley’s work on the epiclesis, and on Roman Catholic scholarship. By the 20th century, the Anglican Churches saw quite radical changes in ceremony and ritual. The Tractarians and the Oxford Movement were interested in liturgy and, in particular, in the Holy Communion or Eucharist. Gradually, dress and ceremonial were borrowed from past, historical practices, including the use of stoles, chasubles and copes; candles multiplied; incense was burnt; priests genuflected and bowed. The classical shape of Sunday morning Anglican worship from the 16th century to the 1890s was Morning Prayer, Litany and Ante-Communion, with Holy Communion once a quarter. Then, from the 1890s to the 1970s, there were various models, although a typical one was Morning Prayer three Sundays a month and Holy Communion once a month. The Roman Catholic Liturgical Movement influenced many leading Anglican thinkers, such as WH Frere, in the 1920s and 1930s. From the 1920s many Anglican voices were speaking of the need for weekly communion. These include WH Frere, Bishop Charles Gore (1853-1932), author of The Body of Christ: an enquiry into the institution and doctrine of Holy Communion (1901), Bishop Henry de Candole (1895-1971), and AG Hebert (1886–1963). 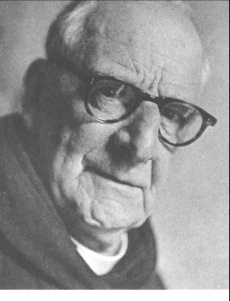 The other major influential Anglican figure in liturgical change was Dom Gregory Dix (1902-1952). One of the most significant contributions to the reform and renewal of the liturgy within Anglicanism was the idea that the Eucharist is primarily an action and that it belongs at the centre of the Church’s life of worship. These ideas were first advanced within the Church of England by Bishop Henry de Candole, who had been influenced by Benedictine pioneers such as Beaudin, Herwegen and Casel. 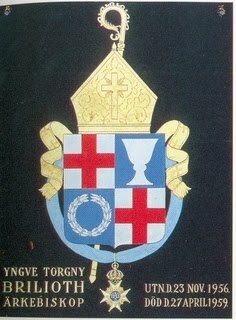 He first developed the Parish Communion while he was working at Saint John’s, Newcastle (1926-1931). Major change began in the 1930s in England with the Parish Communion Movement, led by Gabriel Hebert, an Old Testament scholar and a monk of Kelham (the Society of the Sacred Missions). Hebert was a notable English theologian and was instrumental in mediating the influence of the continental Liturgical Movement. His two most influential works were Liturgy and Society (1935), and a symposium he edited, The Parish Communion (1937). 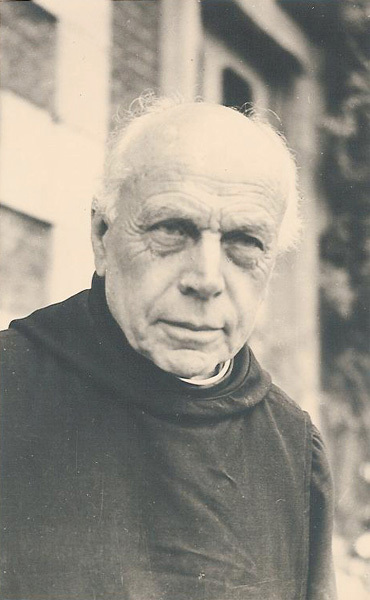 Hebert was strongly influenced both by the continental Roman Catholic liturgical movement – especially the monks at Mont César and Maria Laach, whom he visited in 1932, and by the Scandinavian liturgical movement – especially by Archbishop Yngve Brilioth, and he translated Brilioth’s Eucharistic Faith and Practice: Catholic and Evangelical. ● a theology of offering in liturgy. Hebert interpreted the liturgy on wider social principles, and in the process he pointed out that the idea of the Eucharistic fast was impractical. His second book, The Parish Communion (1937), gave its name to the Parish Communion Movement and helped to make the Holy Communion or the Eucharist the principal Sunday service in many parishes throughout the Church of England. Unlike later Anglican contributors to the Liturgical Movement, Hebert sought to work with The Book of Common Prayer, rather than replacing it, and the ideas of the Parish Communion movement were in advance of English Roman Catholic scholars. Apart from de Candole and Hebert, a key figure – and perhaps the most influential – was Dom Gregory Dix (1902-1952), author of The Shape of the Liturgy (1945). His theory of the four-shape action in the liturgy has had an immeasurable impact on Anglican liturgical thinking for more than 60 years. The Parish Communion movement wished for more frequent communion, not merely attendance at Mass. It sought to relate the Eucharist to the world of ordinary life. And through its influence the offertory was restored, though not without protracted controversy. The Parish Communion movement in Anglicanism grew from the 1930s on. After World War II, de Candole was instrumental in founding the Parish and People movement, which shifted the emphasis to ‘the Lord’s People at the Lord’s Table on the Lord’s Day.’ This led to Anglican churches of all shades of churchmanship making Holy Communion their central act of Sunday worship, with the majority of the congregation receiving communion. As a result, the service of Holy Communion has become the central act of worship in the average parish in the Church of England, with the Parish Communion, or Family Eucharist, on Sunday morning becoming a part of the lives of most Anglican parishes in England. By the end of the 1960s, a mid-morning Sunday Eucharist was a fixture in most Anglican parishes throughout the English-speaking world. It included music and a sermon and was attended by adults and children who sat together as families. There were Church school classes, often for the whole family … and the obligatory coffee hour. ● It offered a highly integrated theology of Church, liturgy, and ministry. ● the danger of drifting towards Pelagianism. Meanwhile, Anglican Churches outside these islands were increasingly aware of the need for liturgical reform and to move beyond the heritage of The Book of Common Prayer. The most dramatic changes came from the Church of South India, where the needs for ecumenical convergence, the insights of the Liturgical Movement and the influence of Gregory Dix all combined in a most creative way. ● The Eastern Orthodox Liturgy of Saint James, which had been strongly influential on the Nonjurors and in Scotland, but was familiar in India through the Syrian/Indian Orthodox tradition. ● Gregory Dix’s The Shape of the Liturgy (1945). ● The priest/presbyter should face the people. ● The Trisagion (‘Holy, Holy, Holy’) is one of the alternatives for Gloria at the beginning of the Eucharist. ● Three Scripture readings were provided (Old Testament, Epistle and Gospel). ● The intercessions could be extempore. ● A congregational peace – the first in post-Reformation liturgy, and in the position noted by Justin Martyr. ● The shape of the liturgy followed the shape described by Dix. ● For the first time, the Eucharistic prayer was called the Thanksgiving rather than the Consecration. ● A phrase was introduced from the Mozarabic liturgy: ‘Be present, be present, Lord Jesus, our great high priest, and make yourself known to us in the breaking of the bread’ (c.f. The Book of Common Prayer (the Church of Ireland, 2004), p. 208). ● Two sets of congregational responses were introduced from the Syrian Orthodox liturgy: remembering Christ’s death and resurrection and looking for his kingdom – placed after the institution narrative; and giving thanks, praise and glory – placed after the anamnesis. 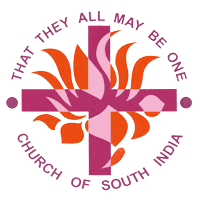 The impact of the Liturgy of the Church of South India on Anglican Churches has been enormous. Its wider impact began at an early stage when it was introduced to the ecumenical movement the WCC Assembly in Evanston in 1954. 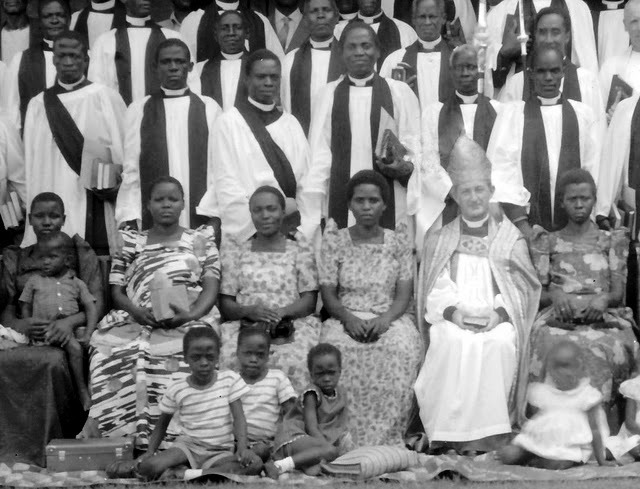 Leslie Brown, a key figure in this process, became Bishop of Uganda in 1953 (and later Archbishop), facilitated the Lambeth Conference debates on liturgical change in 1958, and was the principal person involved in drafting A Liturgy for Africa in 1964. Archbishop Brown went so far as to say the Church of South India Liturgy influenced the changes introduced after Vatican II. Whether this is true or not, we should remember that the Church of South India liturgy came more than a decade before the liturgical changes ushered in by Vatican II. The liturgical movement influenced Anglican revisions throughout the 1960s and 1970s. Within the Church of England, the Alternative Service Book (1980) showed the continuing influence of Gregory Dix’s work of the 1940s. This had a profound influence on the Church of Ireland though both the Alternative Prayer Book (1984) and The Book of Common Prayer (2004). The latest product of the process in the Church of England is Common Worship (2000). The liturgical movement also raised questions about “sacred space” – about the way we use our church buildings, and the way our use of them reflects our priorities in liturgy and worship. From the 1930s on, other aspects of the continental liturgical movement also affected worship in the Church of England. Under the influence of works such as Der Christliche Altar by the Jesuit J. Braun, it became more usual for altars to become free-standing. 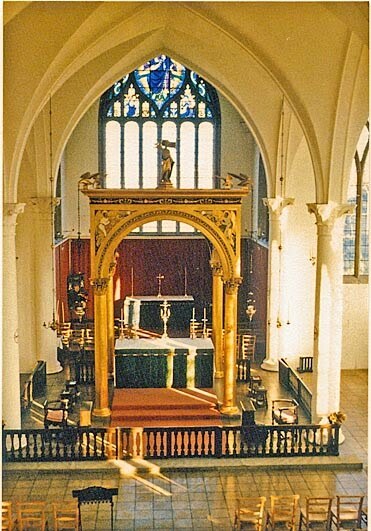 The first that can be traced in the Church of England is that at Saint Philip’s in Cosham, Portsmouth (1938), which was designed by Sir Ninian Comper. With the new emphasis on the ‘full, conscious and active participation’ of the people in the liturgy, a new approach was needed if congregations were to move from being audiences or spectators to being participants in the liturgy. By the 1950s and 1960s, new altars were designed for west-ward celebrations and many older churches adapted their furnishings to the change of approach. Many Evangelicals adopted the westward position introduced in the CSI revisions, along with most of the other Anglican clergy, lessening the differences inherited from previous years. A major landmark publication was Peter Hammond’s Liturgy and Architecture (1960), in which he argued that architecture should be shaped by what goes on in worship. He was dismissive of the new Coventry Cathedral, saying it still relied on 19th century concepts of liturgical space. He might have said the same about most of the new churches being built in the Church of Ireland in the 20th century. Churches have continued to be reordered, and a more recent seminal book on this topic has been Richard Giles’s Repitching the tent: Reordering the Church Building for Worship and Mission (1999). 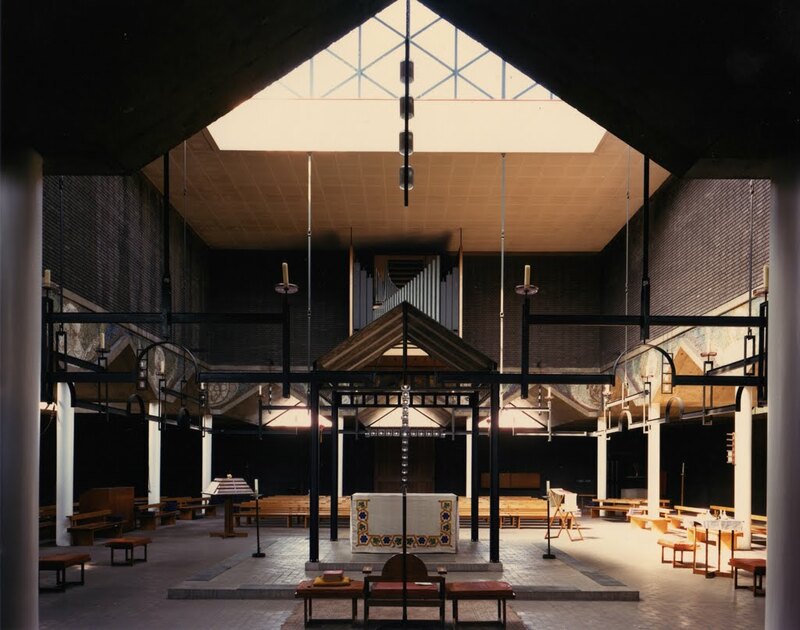 Generally speaking, what has happened architecturally since the 1960s is that the altar has been moved out from the east wall, so that the presiding priest can stand behind it, facing the people, and – sometimes – with the whole congregation standing around it; the roles of the lectern, pulpit and font have been rethought; and the presiding priest’s chair has become another important item of furniture. Equally dramatic in some places has been the change in some of the Lutheran churches. The Evangelical Lutheran Church of Finland, for example, has been heavily influenced by the movement in its vesture and ritual. Black gowns have been replaced by coloured vestments, with their shape conforming to the modern pattern. This is less true in its ceremonial: the liturgical action, in which movement takes place during the liturgy to express its different parts, is largely lacking. In Sweden, two key figures in introducing the liturgical movement to the Lutheran Church were Archbishop Yngve Brilioth (1889-1959) and Dr Gunnar Rosendal (1897-1988). Archbishop Brilioth’s Eucharistic Faith and Practice: Catholic and Evangelical was translated by Hebert. He was Bishop of Växjö (1938-1950), Archbishop of Uppsala (1950-1958), and the author of a history of the Oxford Movement, written to coincide with its centenary in 1933. Dr Rosendal – known popularly as Father Gunnar of Osby – was the parish priest of Osby. 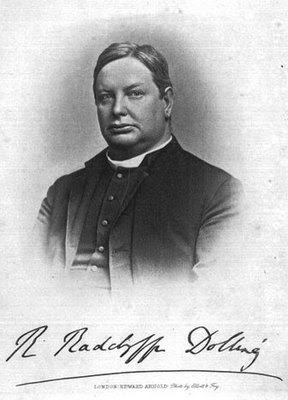 Through his books promoting liturgical Lutheran theology and spirituality, especially through Kyrklig förnyelse (1935), he became a leading liturgical figure in the Church of Sweden. His other influential books include Den apostoliska tron (2 vols, 1948, 1951), and Vårt katolska arv (Our Catholic Inheritance, 1956). He popularised his liturgical theology through his own example in Osby, which became a model for liturgical piety and practise for the Eucharist and the daily office. Dr Rosendal had many contacts to the liturgical movement in the Roman Catholic Church, especially in Benedictine monasteries, and knew many of the theologians of the liturgical and ecumenical movement, including Pius Parsch and Paul Couturier. He also had plenty of contacts with the key Anglican liturgists of the time, especially Dom Gregory Dix. Dr Rosendal was rooted also in the theology of 17th century Lutheran orthodoxy, which he knew well. He was one of the theologians who worked for the foundation of the International League for Apostolic Faith and Order (ILAFO), which later became the Faith and Order Commission of the World Council of Churches. In Sweden, his influence can be seen in the foundation of the organisation arbetsgemenskapen Kyrklig Förnyelse (aKF), inspired by his book Kyrklig förnyelse. In Germany, the excising of the Eucharistic Prayer by Martin Luther in his Kirchenordnungen, was one of a number of factors that contributed towards infrequent communion. This was reversed in the decade after World War II with new service books and subsequently by the challenge of Vatican II. In the US, the Lutheran Book of Worship (1978) draws considerably from Roman Catholic sources. Dom Gregory Dix was a monk of Nashdom Abbey, an Anglican Benedictine foundation. He was lecturer in modern history at Keble College, Oxford (1924-1926), was ordained priest in 1925, entered Nashdom the following year, took his final vows in 1940, and was elected Prior in 1948. Dix’s work was primarily in the field of liturgy. He produced the first critical edition of the Apostolic Tradition (1935). But his most influential book is The Shape of the Liturgy (1945). In this book he argued that it was not so much the words of the liturgy but its ‘shape’ that matters. This was, he believed, even more fundamental than the inclusion of the Words of Institution (‘This is my Body ...This is my Blood’), which he pointed out had not always been included. Dix argued that the origins of the Eucharistic meal lay not in the Passover Seder but rather in the Jewish fellowship meal, the chaburah. For Gregory Dix, the entire liturgy of the Eucharist constitutes anamnesis – a commemoration and re-presentation of the one sacrifice of Christ. 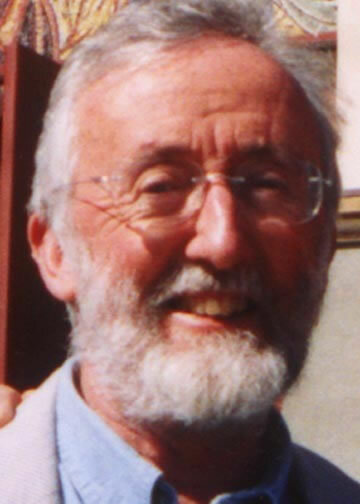 His study of the historical development of the liturgy, as seen in the writings of Justin Martyr, the Apostolic Tradition, and the Syriac Liturgy of Addai and Mari, among others, led him to formulate the ‘Four-Action Shape of the Liturgy’: Offertory, Consecration, Fraction, Communion (Take, Bless, Break, Give). Dix believed this was even more fundamental to the rite than are the Words of Institution, which the Liturgy of Addai and Mari does not include, and which may not have been part of the earliest celebrations of the Eucharist. Dix argued that this four-action shape had been rearranged in the 1662 Book of Common Prayer and parts of it omitted in other revisions of liturgy, betraying the universal tradition of the Church. 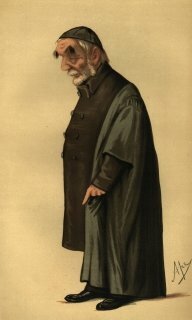 Dix’s work heavily influenced liturgical revision both in the Church of England and in related rites of the Anglican Communion, along with that of the Church of South India. Some recent scholars, however, have criticised Dix, claiming he lacks historical accuracy in places, although the Alternative Service Book and Common Worship in the Church of England and the Alternative Prayer Book and The Book of Common Prayer (2004) in the Church of Ireland show his continuing influence. In particular, Dix’s claims for the shape of the liturgy, and his emphasis on the significance of the Offertory, are said to rest on weak evidence historically. He has also been criticised on the theological ground that the Offertory was in danger of Pelagianism: that is, it suggests a natural goodness in humanity that could give God anything. This objection originated in a comment by Archbishop Michael Ramsey about the dangers of a ‘shallow and romantic sort of Pelagianism,’ but which was taken up by Evangelical liturgical scholars, not as a warning but as a prohibition of offertory processions of any sort. On the other hand, Dix’s thesis was defended by members of the English Parish Communion movement, such as Gabriel Hebert and Donald Gray, who saw the offertory as representing the bringing of the world into the Eucharistic action. 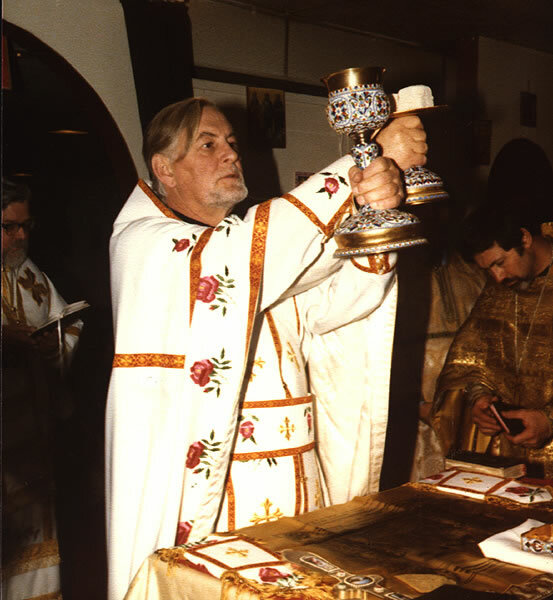 (This is also the traditional Eastern Orthodox perspective of the offertory. See Alexander Schmemann, For the Life of the World, 2:7). Dix’s thesis was also defended by scholars who noted ancient ideas of sacrifice particularly associated with the work of Saint Irenaeus. Either way, Dix’s fourfold shape has influenced every subsequent reform of the liturgy within the Anglican Communion. This pattern is clear, for example, in the second order of Holy Communion in A Prayer Book for Australia (1995), and Order One in Common Worship (2000) of the Church of England. Some even argue that this shape can be observed in the post-Vatican II Mass of Pope Paul VI, which can be attributed to the consensus created by Dix. Gabriel Hebert, a monk of Kelham (Society of the Sacred Mission) was an influential Anglican writer on liturgical and biblical theology. In Liturgy and Society (1935), he declared that liberalism was theologically bankrupt and, against propositional dogmatism, argued that Christian doctrine was enshrined in the worship forms of the Church, and that the corporate activity of worship was the touchstone of Christian life and prayer. His collection of essays, The Parish Communion (1936), arguing for the centrality of the Eucharist in the Sunday worship on the basis of the educational model of the Church as the Body of Christ, was the most singular influence on the worshipping patterns of the Church of England in the second half of the 20th century. Father Alexander Schmemann was a prominent 20th century Orthodox Christian priest, teacher, and writer. Schmemann was born in Tallinn, Estonia, to Russian émigrés. His family moved to France, where he received his university education. 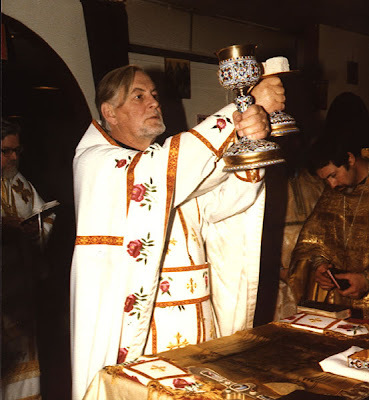 He completed his theological studies at the Orthodox Theological Institute of Saint Sergius, Paris, where he studied with the great Russian theologian, Sergei Bulgakov, and was ordained priest in 1946. Schmemann taught church history at Saint Sergius from 1946 to 1951. He was invited to join the faculty of Saint Vladimir’s Orthodox Theological Seminary, then in New York City, where he taught from 1951 onwards. When the seminary moved to Crestwood, New York, in 1962, Schmemann became dean, a post he held until his death. He was an Orthodox observer at the Second Vatican Council from 1962 to 1965. Much of his focus at Saint Vladimir’s was on liturgical theology. He published many books and articles. For the Life of the World, a popular volume on Christian faith as reflected in liturgy, has been translated into 11 languages. The Eucharist was finished just before his death. This and several collections of his writings were published posthumously. In many places, Schmemann acknowledges the influence of Dix, so that Anglican and Orthodox liturgical thinking have had surprising influences on each other. Brother Max Thurian from Geneva was the Sub-Prior of Taizé, the Ecumenical monastic community in France, from its inception in the 1940s. 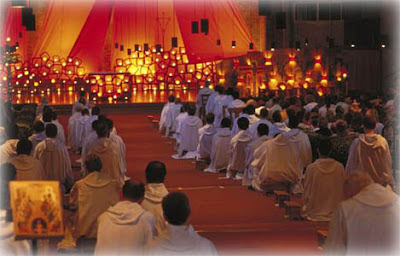 Taizé has given rise to a unique style of worship and music that reflects the meditative nature of the community. Taizé music emphasises simple phrases, usually lines from Psalms or other pieces of Scripture, repeated and sometimes also sung in canon. The repetition is intended to aid meditation and prayer. 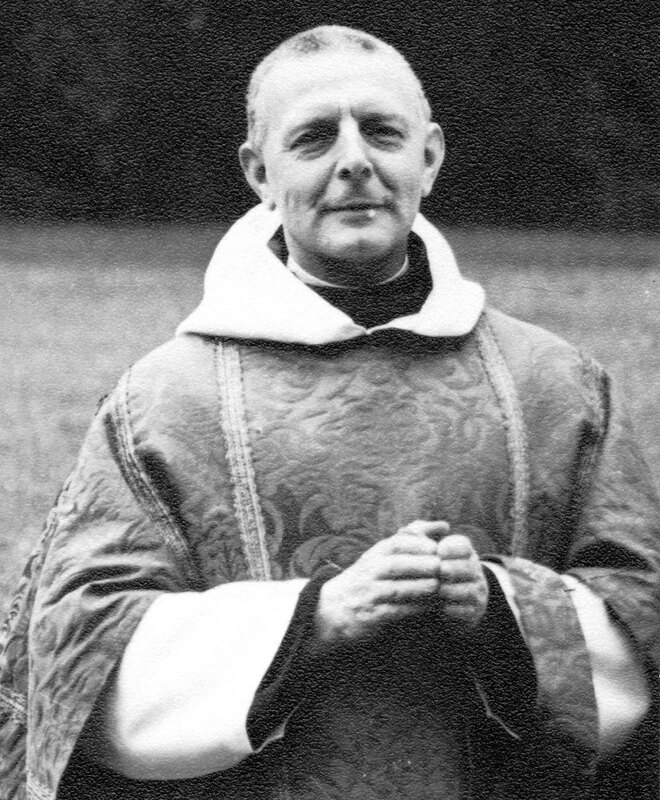 In 1969, Max Thurian said he was satisfied with the reforms of Vatican II, believing that Protestants could receive Holy Communion along with Roman Catholics. His influence as a liturgist was particularly seen in the Lima Liturgy, which reveals his intimate interests in both French Reformed and Orthodox liturgy. Richard Giles is one of the leading innovative and controversial Anglican writers on liturgy, with numerous books on liturgy, worship, the use of liturgical space and the design of church buildings. His best-known books are Re-pitching the tent: Reordering the Church Building for Worship and Mission (1999/2004); and Creating Uncommon Worship: A handbook on bringing the Liturgy to Life (2004). His latest book, published five years ago, is At Heaven’s Gate: Reflections on leading worship (Norwich: Canterbury Press, 2010). He is both a qualified town planner and a theologian. He trained for ordination at Cuddesdon College, and served in a number of parishes before becoming Canon Theologian in Wakefield Cathedral (1998-1999), and was appointed Dean of Philadelphia in 1999. He now lives in retirement in Tynemouth. Re-pitching the Tent is, perhaps, the most influential and most controversial book by an Anglican theologian in recent decades on how we use, can re-evaluate and can adapt our worship spaces. It is challenging if you are used to and attached to our traditional arrangement of sanctuary, chancel, choir and nave. He shows how we can make our spaces count, how we can arrange for worship in such a manner that we express a theology that highlights the participation of the people in the congregation while still showing we have very distinct president of the assembly to lead the Liturgy. 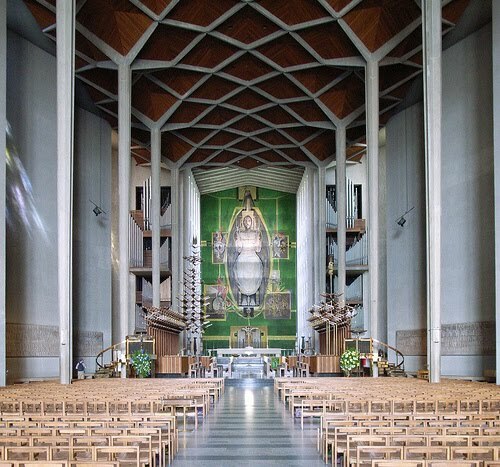 Not all traditionalists warm to his ideas at once, but he relies on patristic authorities, and has produced a practical, informative and inspirational guide to creating beautiful places of worship, to revitalising the way we regard church buildings, to enabling us to see them afresh as a vital component of our worship and mission. Creating Uncommon Worship takes a new look at how worship is both conducted and experienced. Too often liturgy is all too often about words and is led from the front, but he introduces ideas on how to enrich the liturgy by creating a context of action, movement and symbolic expression involving the whole assembly. In At Heaven’s Gate, Richard Giles tells how worship too often is a duty rather than a joy, a gathering of the like-minded rather than an encounter with the living God. For those who lead worship, the liturgy can all too easily be reduced to a steady progression through a service book, instead of drawing forth the gifts and ministries from an expectant assembly engaged in an enterprise that joins earth to heaven. Richard Giles is convinced that ‘the Sunday gathering of God’s people is the sacrament of their transformation,’ and that they deserve nothing less than ‘worship that takes us to the threshold of heaven,’ our own little ‘tradesmen’s entrance into the kingdom of God.’ But, all too often, it falls short of that, and we need to award worship ‘first, second and third place in our agenda,’ to get it right. He asks:’“What makes really good worship?’ – and he then examines the chief components of worship and liturgy that engage, inspire and transform. He recalls us to the wonder of worship, and reminds us that when the people of God gather, we come to the very gate of heaven, touching the eternal mystery. How does a visit to the local gate of heaven appear to most people today? Is the welcome warm and genuine? Is there a sense of expectancy? Do the surroundings speak of transcendence or are they full of clutter? Is every minute taken up with words and music? Or are there spaces when we can listen for God? Is the coffee afterwards worth staying for? I hope we can look at these and other questions next week when we look at Baptism and Eucharist in the context of the contemporary life and mission of the Church, and in the context of worship and inculturation. 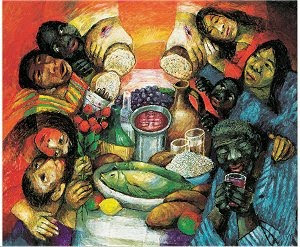 R. Arguile, The Offering of the People (Jubilee 1989). JF Baldovin, ‘The Liturgical Movement and Its Consequences,’ pp 249-260 in Heflin and Shattuck (eds). JF Baldovin, “An outsider’s view of Anglican Worship,” pp 152-169 in Spinks and Stevenson (eds). Baptism, Eucharist and Ministry, Faith and Order Paper No 11 (Geneva: World Council of Churches, 1982). P. Bradshaw, The New SCM Dictionary of Liturgy and Worship (London; SCM Press, 2002). LW Brown, Relevant Liturgy (London: SPCK, 1965). C. Buchanan, ARCIC and Lima on Baptism and Eucharist (Grove Worship Series No 86, Bramcote: Grove Books, 1983). C. Buchanan, The End of the Offertory (Bramcote: Grove Books, 1978). C. Buchanan, “The legacy of the Church of South India,” pp 244-248 in Heflin and Shattuck (eds). O. Chadwick, The Victorian Church (vol 2). G. Dix, The Shape of the Liturgy (London: Dacre Press, 1945). I. Ellis, Vision and Reality: a survey of twentieth century Irish inter-church relations (Belfast: Institute of Irish Studies, QUB, 1992). A. Flannery (ed), Vatican Council II: the conciliar and post-conciliar documents (Dublin: Dominican Publications, 1981 ed). TS Garret, Worship in the Church of South India (1958). Richard Giles, Repitching the Tent: Reordering the Church Building for Worship and Mission (1999/2004). Richard Giles, Creating Uncommon Worship: A handbook on bringing the Liturgy to Life (2004). Richard Giles, At Heaven’s Gate: Reflections on leading worship (Norwich: Canterbury Press 2010). Donald Gray, Earth and Altar (Norwich: Canterbury Press/Alcuin, 1986). AG Hebert, Liturgy and Society (London: Faber 1935). RCD Jasper, The development of the Anglican liturgy 1662-1980 (London: SPCK, 1989). 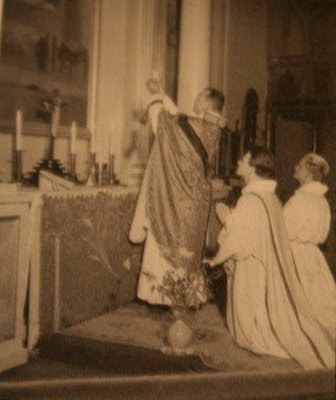 J. Jungmann, The Early Liturgy (London: DLT 1960). EB Koenker, The Liturgical Renaissance in the Roman Catholic Church (Chicago: University of Chicago Press, 1954). A. Schmemann, Introduction to Liturgical Theology (1975). A. Schmemann, The Eucharist: Sacrament of the Kingdom (1988). A. Schmemann, The World as Sacrament (London, 1966). JF White, “Prayer Book Architecture,” pp 106-115, in Heflin and Shattuck (eds). 6.1, Traditions of prayer (1): readings on Benedictine and Franciscan prayer. 6.2, Traditions of prayer (2): readings on Reformation prayer. 8.2, The theology and rites of ordination; Rites of passage (e.g., Marriages, Funerals). (Revd Canon Professor) Patrick Comerford is Lecturer in Anglicanism, Liturgy and Church History, the Church of Ireland Theological Institute. This essay is an expanded version of a lecture on 9 October 2016 on Module TH 8824: Liturgy, Worship and Spirituality with part-time MTh students, Years III-IV.